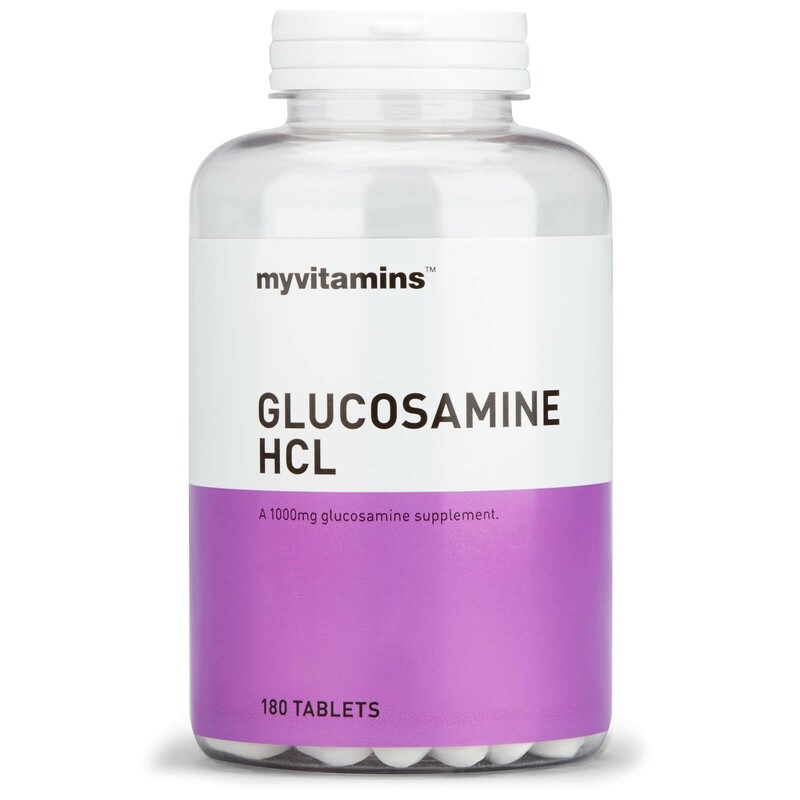 Glucosamine HCL is a vegetarian friendly form of the extremely popular nutrient found naturally in the body. Glucosamine is a major component of cartilage which protects joints by absorbing and cushioning impact. Our high quality supplement provides 1000mg of glucosamine HCL per tablet. Glucosamine HCL has been shown to provide over 40% more Glucosamine than the standard Glucosamine Sulphate and is therefore the highest grade ingredient currently available. 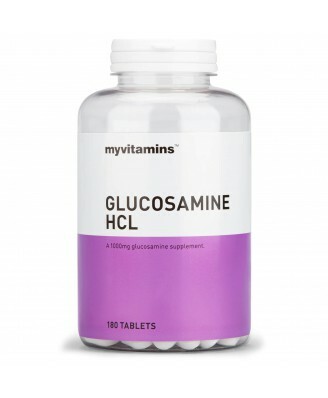 With glucosamine being present in the body, supplementing the diet with Myvitamins Glucosamine HCL will provide the body with an additional source alongside that which it naturally produces. Glucosamine HCL is a staple supplement for those looking to increase their daily intake of glucosamine and is particularly important for those who are physically active and exercise on a regular basis. To be taken as part of a varied and balanced diet and a healthy lifestyle.